In 1968, Dan and Katie are one of the hottest couples at Ballard High School in Seattle. He is the hero football player, and she is the beautiful cheerleader. These high school sweethearts believe theirs is a love that will never die. 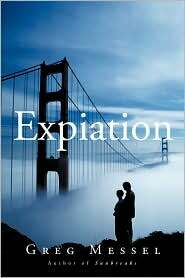 Life changes when Dan leaves Washington to start college at the University of California Berkeley and pursue his dream of working for a big time newspaper in the glamorous city of San Francisco. The quest for his dream occurs against the turbulent background of Berkeley and San Francisco in the 1970s as Dan and Katie go their separate ways. Now, thirty years later, Dan is back in his hometown of Seattle attending his mother's funeral. He's never stopped thinking about Katie, his long-lost love. But the two former high school sweethearts reconnect in a most unexpected way as the rest of the world grows more fearful of Y2K and the dawn of the twenty-first century. They are hoping that their love, once lost, can now be reclaimed. In 1941, fifteen-year-old Lina is preparing for art school, first dates, and all that summer has to offer. But one night, the Soviet secret police barge violently into her home, deporting her along with her mother and younger brother. They are being sent to Siberia. Lina's father has been separated from the family and sentenced to death in a prison camp. All is lost. Lina fights for her life, fearless, vowing that if she survives she will honor her family, and the thousands like hers, by documenting their experience in her art and writing. She risks everything to use her art as messages, hoping they will make their way to her father's prison camp to let him know they are still alive. It is a long and harrowing journey, and it is only their incredible strength, love, and hope that pull Lina and her family through each day. But will love be enough to keep them alive? I couldn't wait to get my hands on this one, here is a video of Ruta Sepetys discussing her book 'Between Shades of Gray' Enjoy! 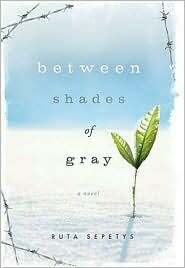 I've got a copy of Between Shades of Gray and am excited to read this one as well!! Can't wait to read your thoughts on this one! I just found your blog today, and wanted to let you know I think it looks great! Hello fellow blogger! just wanted to show some *love* and say you have a wonderful blog here. I just recently started a book blog myself and would love if you return the favor and become a follower. Happy Blogging!